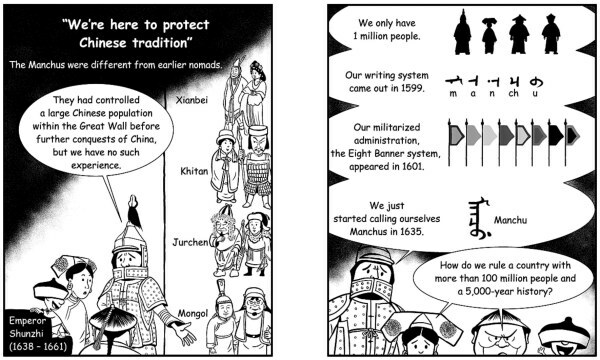 The fourth volume of “Understanding China Through Comics” takes us through the final six centuries of imperial rule in China. In it, we find the final emperors of China attempting various reforms in the face of foreign invasion, occupation and, ultimately, humiliation. Liu continues his formidable task of tackling the entirety of Chinese history, with an increasing focus on policy and governance (in this case, its failures). As with other volumes in this series, emperors rise and fall within the span of some short pages, which makes for a great, if somewhat curt, summary of events. You can find the book on Amazon or on iTunes.